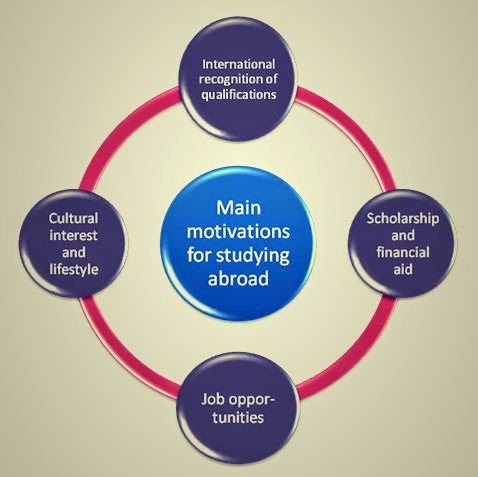 Indian students in search of better educational facilities are moving out of their comfort zone and applying to different countries. The United States of America accepts maximum applications from India. The demand for seats in the educational sector has increased manifold in the last two decades. A good sign for the economic reform of the country, it is but also riddled with the issue of supply. New schools and colleges are being constructed in every part of the country, which boast of providing education to as many students as they can. Yet a majority of the population is shifting to foreign universities in order to procure their choice of education. Constituting the concept of brain drain, a large chunk of our youth has migrated abroad for their undergraduate and higher studies. According to the studies conducted by Indian Institute of Management, Bangalore, the shift has been massive during the time period of 2000-2009 wherein the percentage of Indian nationals studying abroad increased by 256% or three and a half times. As proposed in the study, there has been a steady increment of 7% in the number of Indians travelling abroad for a degree. In 2000, the count was above 53,000, which shot up to 1.9 lakh by the end of the decade. Choosing a college or deciding where to study is an exceptionally difficult task. One needs to be meticulous and thorough in their research as this decision can change your life forever. Even after careful consideration, a lot of money, time, and energy is dispensed in discovering the destination that best suits your requirement. The United States of America has always been a frontrunner in attracting students to its shores. It gets more number of foreign nationals from India than any other country. In 2006, 76,000 students had moved to the states for higher education. It is a very popular destination because of its unique education system and availability of numerous job opportunities. Its education system is committed to excellence. Degrees from US are recognized worldwide. The research facilities provided at university level are class apart. PhD/MS students are entitled to a stipend which is highly appreciated. For other courses sufficient scholarships are provided. The academic system here is very flexible and students can chose courses according to their preference. MBA colleges in US are most sought-after. One major disadvantage of studying there is the high cost of living and the astounding tuition fees. 73.4% students went to the states in 2000; numbers dwindled and came down to 53.6% in 2009. Yet, Boston, San Francisco, and New York remain the dream destination for many youngsters. UK takes in the second highest number of Indian students. About 17% of students have been going to London annually since 2009. From 2000-2009 the numbers increased from 3,962 to 36,105. US is losing its foreign national clientele to Europe recently. UK has the best academic reputation internationally. Diversity in culture makes it an extremely interesting place to live in. The courses here are of shorter duration as compared to many other countries. Hence, it is considered cost effective. However, the massive educational fee and strict visa regulations in UK are motivating students to take residency in other parts of Europe like Sweden, Italy, Denmark, Norway, and Ireland in order to get the cheapest education and quickest jobs. Being the world’s coldest country does nothing to prevent the students from packing their bags and moving to this country. Known for its Victorian architecture and Parisian-style streets, Canada is now known to house a vast majority of Indian students. It is a preferred destination for its quaint and safe environment. The education here is highly affordable and there is also the possibility of immigration. From modern campuses to state-of-the-art research facilities, this country has now become the land of possibilities. This country has about 50 universities to study in. The medium of education here is English, and due to its geographical location it attracts a large horde of Asian students. General safety, favourable climatic conditions, and a rather friendly environment make it a choice favourite. This country is known for its contrasting nature. It is both, modern and traditional. It provides students with the option to live their kind of lifestyle. Here education is highly affordable due to the subsidies offered by the government. 11 out of the 16 states do not demand any tuition fee. The cost of living is low, scholarships are easily attained, and flexible working and studying hours makes living here a highly comfortable experience. Engineering courses are most popular in Germany. These are the top five study abroad destinations, which provide a host of study abroad courses. Apart from these Netherlands, Singapore, Italy, New Zealand, and France are also the choice favourites. Complete information regarding the programs and availability of colleges in these countries can be easily obtained online. 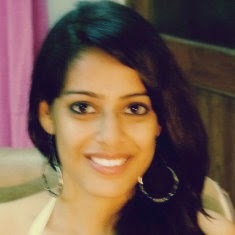 Tina Jindal is a professional editor and content writer. She has worked with renowned publications and is currently pursuing her love for writing. Be it Cookery, Gardening, Pregnancy, or Real estate, she has tried her hand at all.